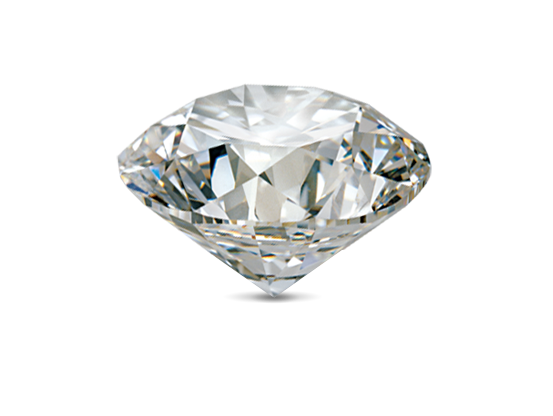 Colorless diamonds are scarce—most diamonds have tints of yellow or brown. The rarity of one or more of the 4Cs can affect value. 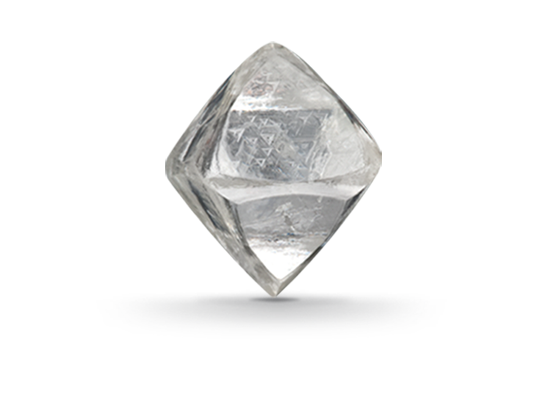 The crystal shape of a gem diamond is often the octahedron. Trigons—little triangular depressions—occur only on octahedral faces. 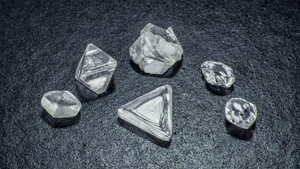 Diamond’s growth marks help experts separate diamonds from simulants. The human contribution to a diamond’s beauty is a well-executed cut. Explore research on diamond history and diamond grading.